“A symbol of trust” – that is what Russian President Dmitry Medvedev dubbed his meeting with the leaders of Tajikistan, Afghanistan and Pakistan during a visit to the Tajik capital, Dushanbe. Fighting terrorism in Afghanistan was the main focus of the Thursday summit of the four presidents. The leaders of Russia, Afghanistan, Pakistan and Tajikistan first met on the sidelines of the Shanghai Cooperation Organisation earlier this year in Russia’s Ekaterinburg to discuss terrorism. This was where they also agreed to again meet to continue their talks on the issue. At the present summit, the presidents did not say much about what they were discussing but did mention that the talks were productive and they would continue meeting in the future. Also, the President of Afghanistan, Hamid Karzai, thanked the other presidents on behalf of his people for their efforts in providing peace in Afghanistan. Russia’s involvement in the region, including fighting terrorism in Afghanistan, is becoming more intense. President Medvedev and his American counterpart, Barack Obama, signed an agreement in Moscow in July that opens Russian air space to US military cargo on its way to Afghanistan. Despite alternative routes being available, such as through Pakistan and other countries, Obama was reportedly keen, for safety reasons, to sign the deal with Moscow. Russia also supports NATO’s aim to defeat militants in Afghanistan, which is why Moscow agreed to sign the deal with the USA. Both Russia and the US understand though that Al-Qaeda often hits NATO’s allies, who are much closer to Afghanistan’s territory. Nonetheless, the Russian president chose to sign the agreement, giving Moscow an even larger role in fighting terrorism in the region. 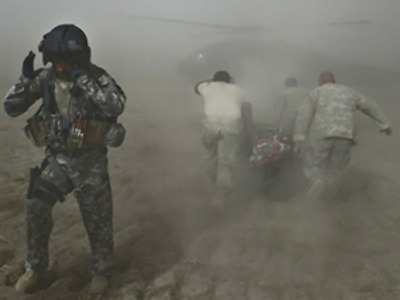 Drug trafficking from Afghanistan is another problem that is a major concern for Russia. The income from this illegal industry is primarily used for financing terrorists. This is another reason why Russia wants to be more deeply involved in solving the problem. If the current format of co-operation between Russia, Afghanistan, Pakistan and Tajikistan proves to be efficient, Russia is expected to increase its efforts in the fight against terrorism and drug trafficking in the region. Russia is also ready to discuss its military presence in Tajikistan, Russian Foreign Minister Sergey Lavrov said on Thursday. According to media reports, Tajikistan could raise the issue of seeking payments from Moscow in exchange for it keeping its military base in the country. One of the apparent purposes for Russia’s largest foreign ground base is to help maintain peace in the region and support its Tajik partners on the border with Afghanistan. "We are partners, and if one of the partners wants to discuss something, we are ready. 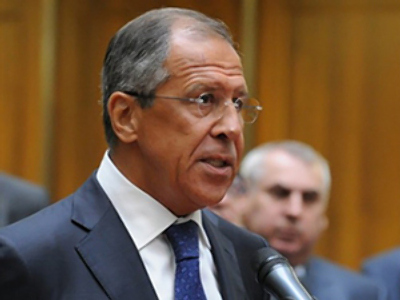 We will discuss this issue when it is raised with us," Lavrov told Russian journalists in Dushanbe on Thursday, according to Interfax. Dmitry Medvedev and his Tajik counterpart have ordered their Defense and Foreign ministers to discuss the terms for Russia’s continuing presence in the country. Russia’s Defense Minister, Anatoly Serdyukov, is accompanying President Medvedev during his visit to Tajikistan.